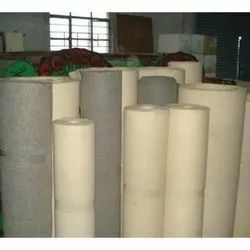 We are a leading Manufacturer of woolen felts, neutral colored wool felt, carbonized wool felt, industrial wool felts, natural wool felt and plain wool felt rolls from Jaipur, India. We specialize in offering a quality enriched range of Woolen Felts. Our product range is fabricated using in various dimension according to the individual demands of our clients. Moreover, we provide these international quality products at affordable prices. 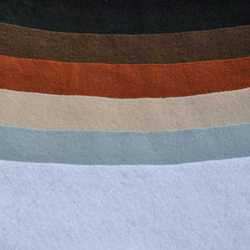 We are manufacturer of Neutral Colored Wool Felt. The compactness is arrived with the aid of chemical and mechanical application of heat, moisture pressure. Neutral Felts has been a major breakthrough achieved by R & D initiatives of Pugalia Mills in their quest for bench marking all their products with the most advanced felt products available in the U.S. and German Felt markets. Historically the process of neutralizing felts with fresh water washing/squeezing leaves acid traces in the felts which does not guarantee a 100% neutral product. This exposes the risk of traces of acid in the felts coming in contact with vulnerable Human Skin, ferrous and non-ferrous metals, softer metals, etc. To eliminate this risk, Pugalias have developed NEUTRAL Felts which guarantee neutrality of the felt product manufactured by them. We are the leading manufacture & supplier of Carbonized wool felt made of Australian Merino wool. We are engaged in offering a superior quality range of Industrial Wool Felts. 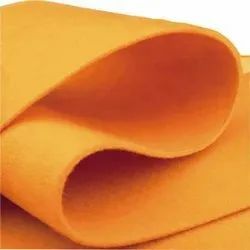 Felts are basically non-woven cloth that is produced by the process of matting, condensing and pressing fibers.Manufactured as per the latest industrial standards, these are being offered in various dimensions as per the clients' demands. These products are minutely checked on varied required parameters so as to offer defect-free products to the clients. We make available to our clients a superior range of Natural Wool Felt. 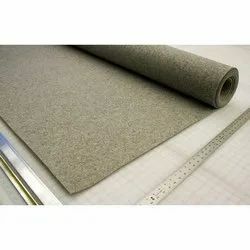 Composed mainly of Australian wool, these felt sheets are typically used for a diverse gamut of applications, including insulation, dampening, sound deadening and sound proofing, coating, decorating, cleaning, polishing, surface preparation, filtering, dust collection and others. 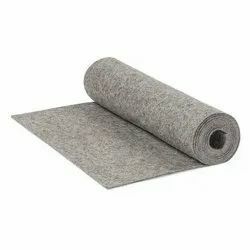 Our organization is engaged in providing Plain Wool Felt Rolls, which are used for heat insulation and sound proofing. These rolls can be fixed between plastic and metal parts. Compared to traditional die-cut polishing wool felt wheels, our rolls are superior. Felt is truly a remarkable product. It owes its uniqueness to the ability of SAE Wool Felts. The wool fiber has a resilient cortex encased in a rigid jacket covered with microscopic barbs, or scales. With heat, moisture and pounding, the fibers relax, curl and interlock in all directions.